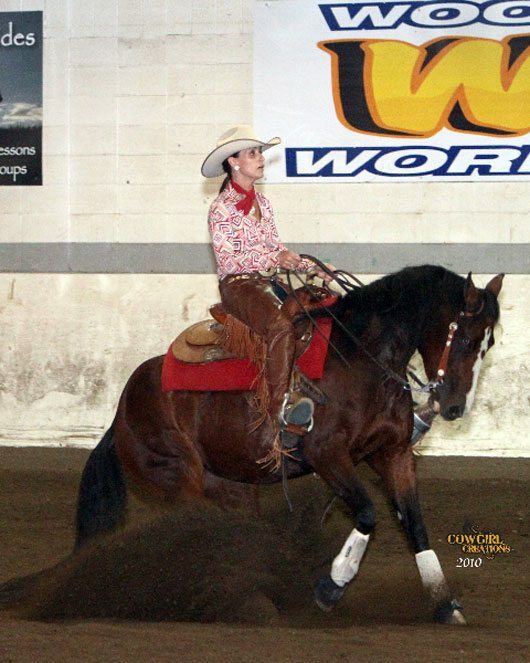 Early in 2010, the Board of Directors for the British Columbia Reining Association discussed and eventually executed a plan to support reining in British Columbia. The association has sponsored two Saddle Series for foals of 2007. Scores for every horse/rider combination in the Three-year-old Open and Non Pro Futurities at Reinin’ In The Sun (Armstrong, BC) and Prince George Reining Horse Association Fall Slide (Prince George, BC) in 2010 and Open and Non-Pro Derby classes from the same shows in 2011 (four shows total) will be tabulated. After the final show, a Duane Latimer reining saddle will be awarded to the Open and Non-Pro horse/rider combinations with the highest total scores. 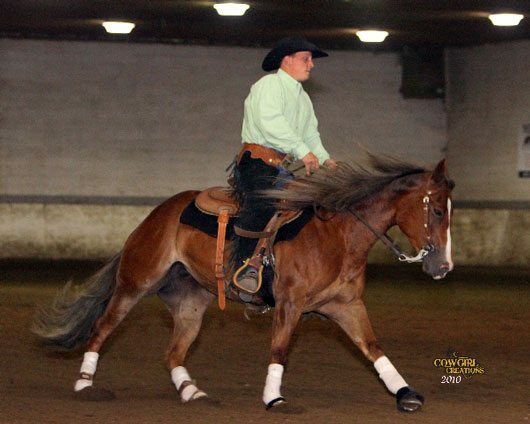 Kyle Weston, aboard Smokin Sana Lena, in the winners circle at the PGRHA Show in 2010. Smokin Sana Lena, ridden and owned by Kyle Weston, is currently leading the Open Standings. 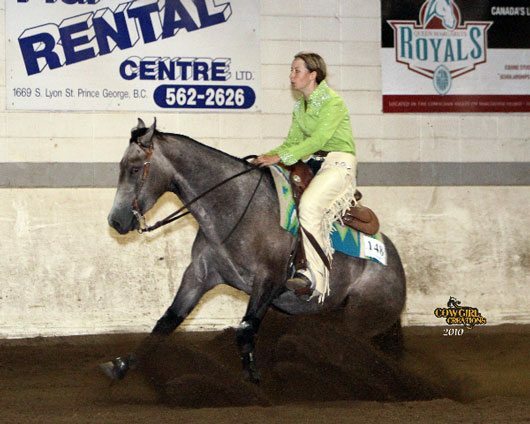 Heres Stetson, ridden and owned by Nicole Klassen, currently sits fourth in the Open Standings. – to promote longevity in reining horses. To that end, the association looks forward to seeing these horses and riders back in Derby classes in 2011. Thank you to The Mill Store in Okotoks, Alberta, for their support and assistance and the donation of a saddle bag for each of the trophy saddles. 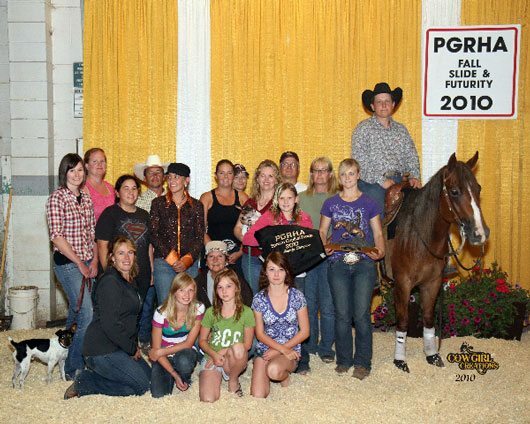 The next class in the Futurity/Derby Saddle Series will be the NRHA approved Derbies at PGRHA Ride N Slide in Prince George, BC in June 2011. The NRHA approved Derbies at Reinin’ In The Sun in Armstrong, BC in August 2011, the final classes, will determine the winners of the saddles.